Firstly, hello! 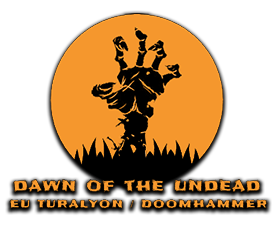 I stumbled upon your forum post and its great to see DOTU are still going strong on Turalyon! I myself have been (for the most part) part of Turalyon for my whole wow career, some of you might recall the name, others won't. I used to be a main HC raider with <NiceGuyz> back in the day during WoTLK which was the pinnacle of my WoW Journey, so its nice to see a familiar name again! 5) Do you have an authenticator? Yes. 6) What achievement are you proudest to have accomplished? Please see above, not one overall acheivement, but when I first applied to Nice Guyz they declined my application and told me what I needed to do to be able to join. I worked on my binds, my progression through lesser guilds and built up experience. The difference between my declined application and my successful raider application was almost 2 years. I linked the original one and made reference to their comments and what I had done since. I believe working hard on my toon, and my skills during that time paid great dividends and being part of a top EU guild at the peak of cutting edge progression shows that if you put the work in, then anything is possible. Raiding with Nice Guyz was a great fun time in WoW and one that I hold dear. 7) Whats your current guild and why do you want to leave them? I don't really have a guild at the moment. Shortly after ICC I got married and my stupid wife decided to have kids, so I've been faffing around with random guilds ever since, dabbling mostly in some pvp content (less time investment vs raiding) and my subscription to wow has been quite intermittent. 8.) Do you know anyone in DotU? I'm not sure, I think I recall the Warlock Frere who used to be in the guild some time ago, I'm not sure if this is still the case. Prior to joining Nice Guyz I raided with Eternal Shadows but I think they have been disbanded long ago. 10) should questions like these be taken serious at all? What questions...I'm drunk applyling. 11) do you really want to join dotu or did you get rejected everywhere else? I don't know what I want, or how long I'll play for really but I think getting in somewhere decent could be a step in the right direction for me. I'd only be applying for social atm, but I always seem to play at a higher level than what my ilvl would suggest. I'm fully keybound, don't stand in fire and am a pretty good guy. Paul aka Flippmo aka Flipp aka He who drinks Guiness.